As with last weeks post, this page comes before the most recent story page posted, so if you're here from a recent post on socials or what have you, you've done a small bit of time travelling. I hope you know how to use a gramophone! 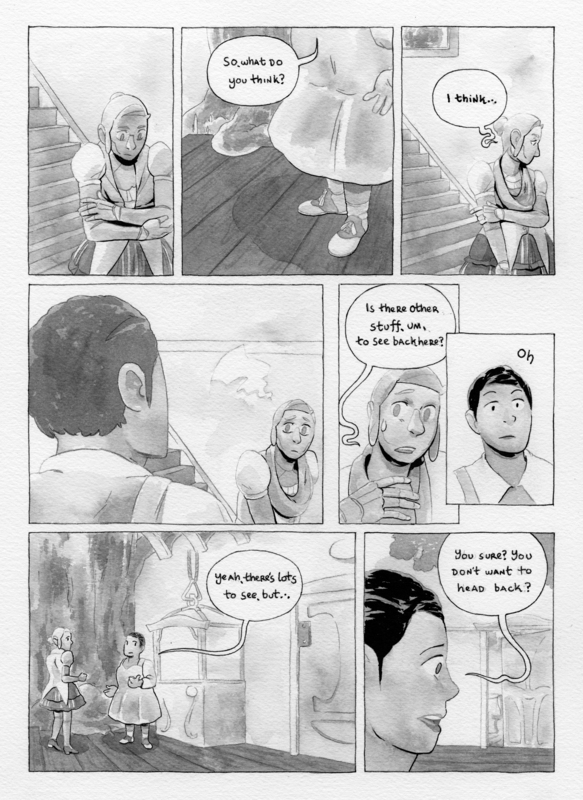 This is page 15, and so the next new page will be 17. Sorry for any confusion.